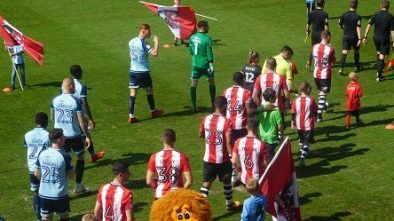 On the face of it, a 3-2 defeat for the club in 23rd away to the club in 2nd who had lost one match all season doesn’t sound too bad, but given City were leading 2-1 as the fourth official was readying his board to indicate the number of minutes of injury time, this will go down as an opportunity missed. 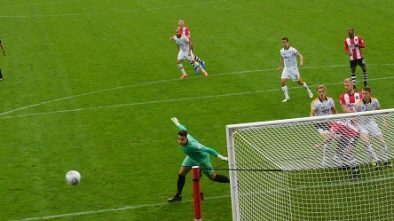 Reports suggesting the winner may have been offside while City were denied a goal for the same offence shortly before will only have rubbed salt in the wounds. However, there’s no time to cry over spilt milk as City embark on another away trip on Tuesday night propping up the table. Lee Holmes will be considered unlikely to make the trip as he was knocked unconscious in the defeat at Carlisle, and even if he is fully recovered the rules around concussion are rightly strict these days. Reuben Reid is starting to find his goalscoring form and will look to continue this in East London. Lloyd James will be desperate to return to the starting line up to face his most recent former employers, and may come in for Matt Oakley, for whom two games in four days is a bit of an ask these days. It’s fair to say that Leyton Orient in the past two or three years has come to resemble something of a basket case. Having missed out on promotion to the Championship in 2013/14, the descent has been swift as chairman Francesco Becchetti seems to have itching powder in his pants causing him to chop and change managers with impunity, while on-field personnel have also changed rapidly. The Os are already on their second manager of this season as Andy Hessenthaler made way for Alberto Cavasin, a sometime journeyman manager in Serie A but who had been out of the game for several years. One eye-catching departure from the club on the playing front was the mercurial Dean Cox, who has since signed for Crawley but it unable to play for them until January as he was signed outside the window. Results have been awful, save for a 3-0 win over a Colchester side who were below City in last place until Carlisle’s 97th minute winner, and in fact Leyton Orient’s recent home record is even worse than City’s (!). Saturday’s 1-2 reverse at home to Blackpool was their seventh straight league defeat at home. 25 players have been used in the league as Cavasin searches for the winning formula, with last season’s talisman Jay Simpson yet to find the form that saw him so deadly last season. Paul McCallum is their top scorer currently with seven in all competitions (although just three of those in the league). Last season saw City take the spoils in both matches. The corresponding fixture, four days before City’s FA Cup replay at Liverpool saw no pre-Anfield nerves. That said, City were behind in the first minute through Ollie Palmer, but were ahead 3-1 by the break (Stockley 2, Nichols), which is how it finished despite the hosts being awarded, and squandering two penalties. Back in September the scoreline was more emphatic as City crushed the visitors 4-0 (Nichols 2, both pens, Nicholls and Wheeler). 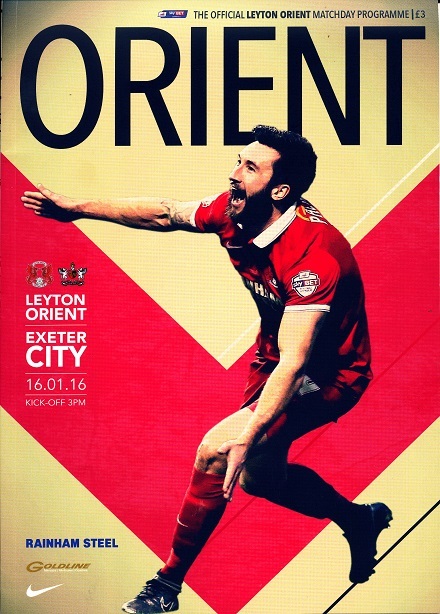 It’s Leyton Orient, however, who hold the league head to head lead with 32 wins to City’s 29 (23 draws).